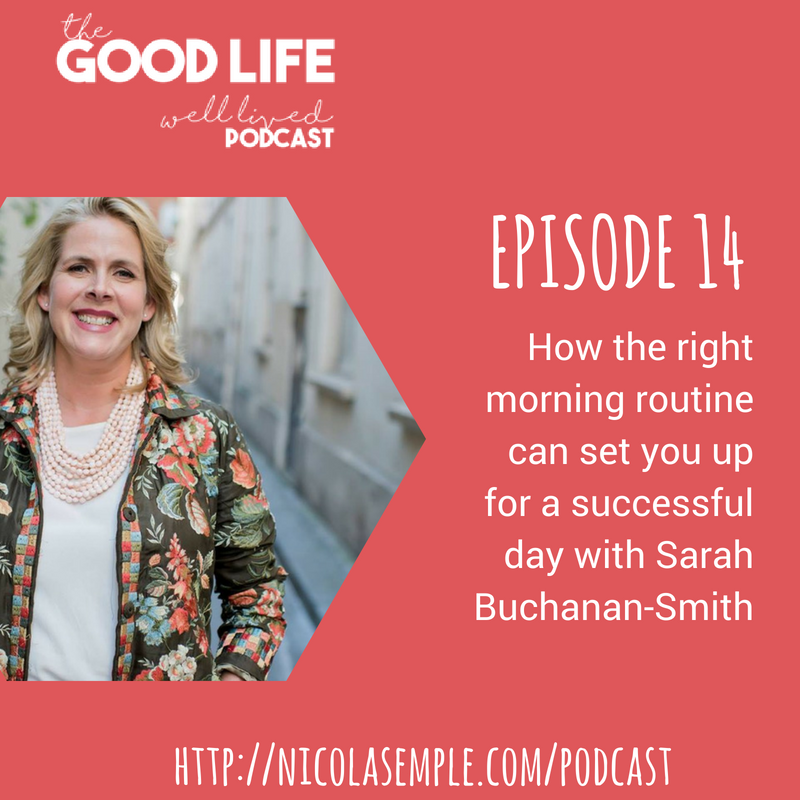 Welcome to Episode 14 of The Good Life Well Lived where I am joined by Sarah Buchanan-Smith, founder of Soul Ambrosia and a coach helping women learn to care for themselves so they feel nurtured, restored, revived and ready to thrive. In this episode we talk about the importance of having a morning routine and the difference it can make to your day. Sarah shares the importance of establishing the right morning routine (for you) and simple changes that you can make so that you face the day with the best possible mindset. If you enjoyed today’s episode, please share it using the social media buttons at the bottom of this page. I would also really appreciate if you could take a few minutes to leave an honest review and rating for the podcast on iTunes. I read every single one personally and I would be thrilled to hear what you think. As a new podcast getting reviews is super important and will help to get more ears listening in to the podcast.